Sky Brown has set her sights on Tokyo 2020, where the sport makes its Olympic debut along with surfing, karate and sport climbing. Sky Brown defeated more than 140 of the UK's best skateboarders to win her first national title in Salford, England on Sunday. 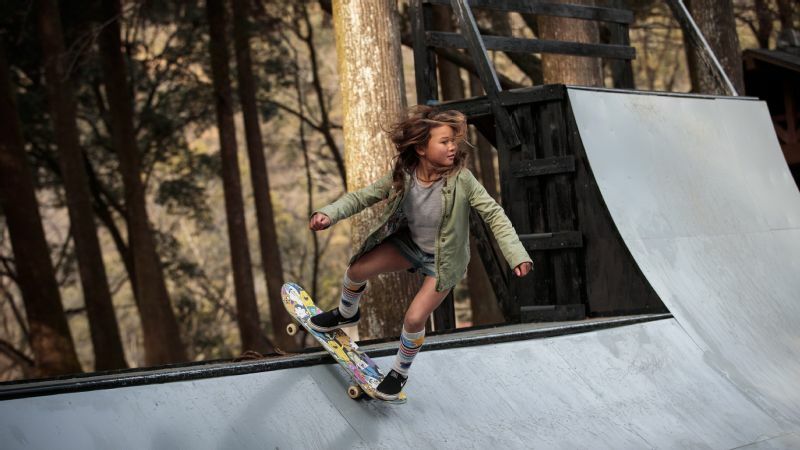 Brown is aiming to become Great Britain's youngest ever Olympian at the Tokyo Games, where skateboarding makes its Olympic debut. The result of the competition counts towards qualification for the Games. "I am really excited to have won the event," Brown said. "I was feeling a bit nervous out there because it was the first time I have competed here." The 10-year-old is also a Nike ambassador, featuring in their February 'Just Do It' campaign alongside Serena Williams and Simone Biles, and has more than 300,000 Instagram followers.